Peer-based healthcare delivery is a proven and cost-effective healthcare mechanism. The AgeWell team has pioneered this approach through mothers2mothers (m2m) - a peer-to-peer model of education and support that has proven effective and scalable in response to the HIV/AIDS epidemic (www.m2m.org). In an effort to prevent mother to child transmission of HIV and keep mothers healthy to care for their families, m2m trains and employs Mentor Mothers, mothers living with HIV, as health professionals. Started in 2001, by 2011 m2m had 700 program sites in nine African countries reaching more than 300,000 pregnant women each year. The Mentor Mother model is included in the United Nations sponsored “Global Plan towards the Elimination of new HIV infections among children by 2015 and Keeping their Mothers Alive”. AgeWell was founded in 2013 to implement the peer-to-peer model to promote the welfare and well-being of elderly people. 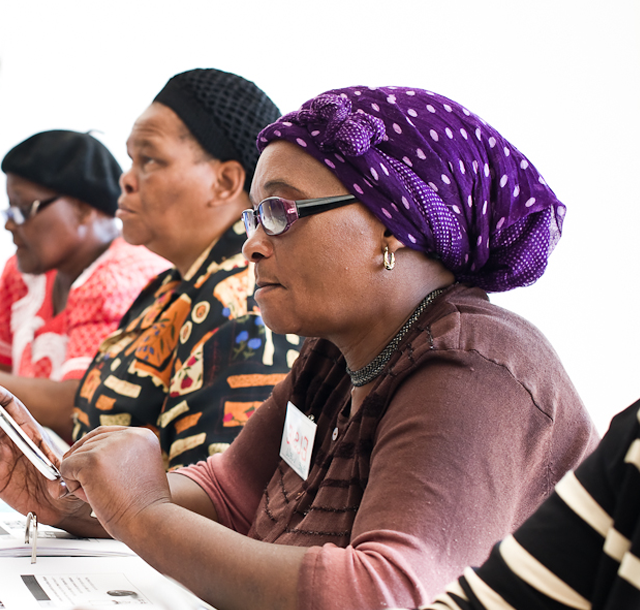 In 2014, AgeWell launched pilot sites in Cape Town, South Africa.